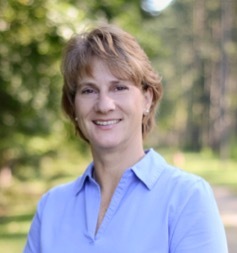 Amy McFadden, ACF, is the Owner of White Oak Forest Management, Inc., which is based in Georgetown, South Carolina. Amy started her forest career with International Paper Company in 1994, taught at Horry-Georgetown Technical College in the Forest Technician Program, and was the department head for four years! Amy earned a BS in forest management from Penn State University and an MBA from Winthrop University. On today’s show, Amy highlights the importance of getting to know each person on an individual level, the surprising aspects of forestry consulting, and so much more! She emphasizes at one point that everybody has a unique personality and, with each person, there’s a unique way to communicate with them. Listen to the entire interview now and sign up for more! [1:45] A quick intro about Amy’s background. [3:25] How did Amy get started in forestry? [6:20] What was Amy’s forestry school experience like? [9:00] What was Amy’s first job at International Paper like? [13:40] Amy shares a little bit about her job history and what she did after IP. [20:10] What made Amy decide to take a full-time leap into forestry consulting? [22:55] What does Amy’s business look like today? [25:55] Amy shares what she wishes she had learned sooner as a forestry consultant. [28:25] Amy is incredibly proud of her team. [30:25] What is the most surprising part about being a forestry consultant? [31:45] Amy shares some of the challenges forestry consultants will face. [33:45] What type of leadership lessons has Amy learned about over the years? [35:25] It’s important to have goals for yourself and for your team to help everybody move in the right direction. [36:40] Amy shares why she joined ACF. [39:50] What advice does Amy have for aspiring business owners? [46:40] “Don’t let your alligator mouth overload your hummingbird behind,” Amy says!